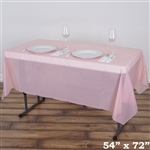 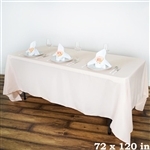 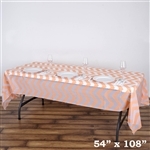 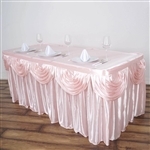 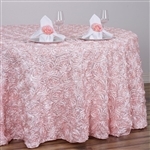 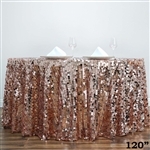 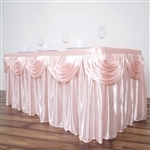 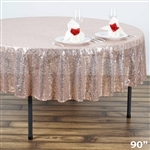 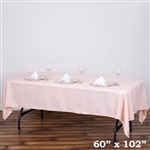 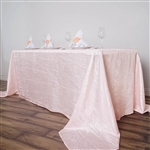 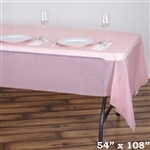 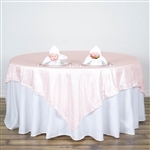 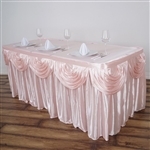 Blush Crinkle Taffeta Tablecloth 60x102"
Blush Crinkle Taffeta Tablecloth 60x126"
Blush Crinkle Taffeta Tablecloth 90x132"
Blush Crinkle Taffeta Tablecloth 90x156"
The perfect choice when choosing a quality Table Overlay. 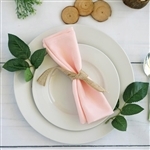 What is the hot wedding color for 2018? 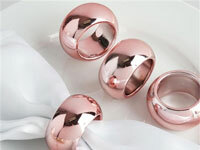 If you guessed Blush you are correct. 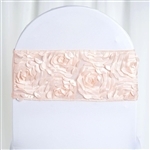 Blush is the hot wedding color for this year. 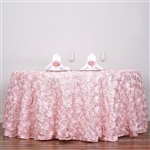 If you are looking for any items in this color look no further. 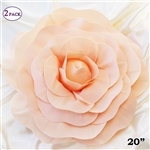 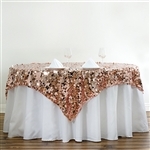 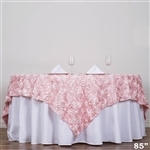 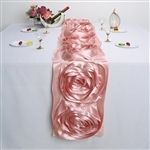 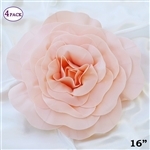 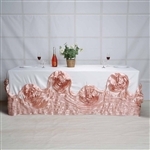 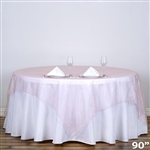 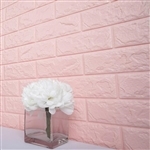 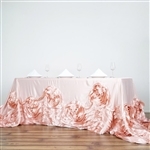 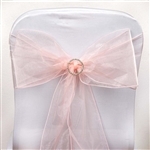 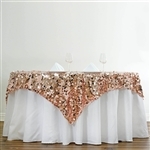 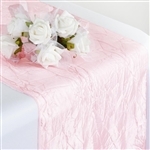 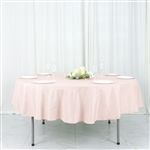 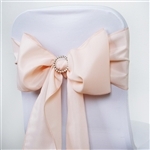 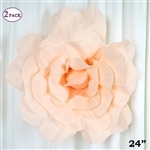 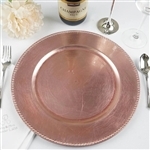 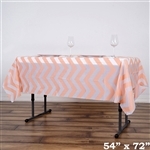 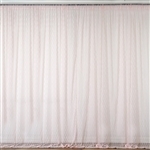 We have created a section on our website devoted to shop wholesale blush wedding decor and linens. 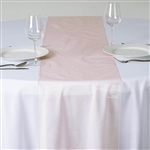 Create a WOW factor at your event with Blush Wedding Linens & Décor - add elegance and finishing touch with this ultra-feminine color. 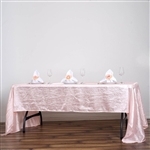 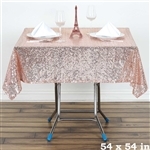 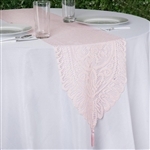 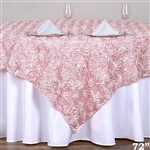 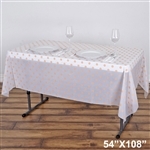 Choose from our charming collection of blush table linens, runners, toppers, chair covers, chair sashes, napkins, curtains and décor items for a welcoming outdoor or indoor ambience. 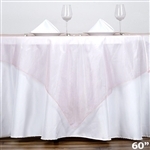 Bulk priced wedding linen is the first choice of event organizers for a budget-friendly décor that provides more than just aesthetical appeal. 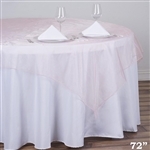 Getting the perfect linen in the perfect shade for the wedding venue is always an uphill battle! 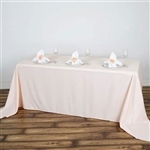 Our commercial grade wedding linen in an all-time favorite blush color fulfils all the needs of event managers, planners and organizers. 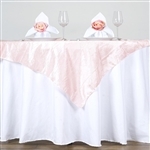 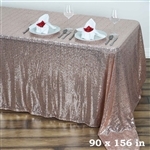 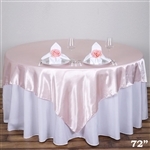 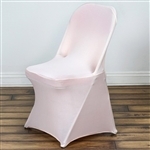 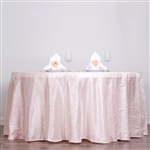 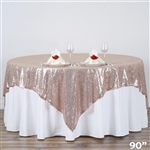 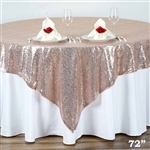 Wholesale priced blush wedding linen is mostly preferred for most of the guest hosting environments - creating smartly groomed tables, chairs, stage and backdrops. 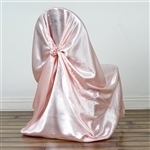 Choose from an array of linen in satin, vinyl, plastic vinyl, polyester, sequin and other highly demanded fabrics to create a thematic draping for your upcoming event.